While swords are the weapon of choice on Game of Thrones, there’s another item that could be just as deadly – and more fun on the weekends – the good old golf club. 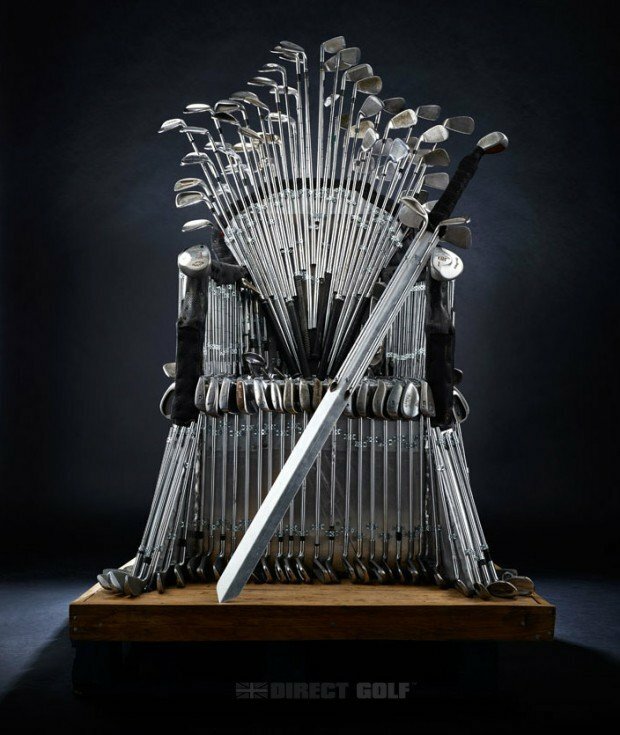 With this in mind, the guys over at Direct Golf put together this awesome take on the Iron Throne, made from golf irons and a few drivers. They worked with the builders at Dead Beats Create to assemble 300 spare clubs onto a wood and metal structure to make the throne, which measures about 6 feet tall at its highest point. Be sure to head on over to the Direct Golf website to read about how they built the Golf Iron Throne.